FieldConnect is a leading provider of field mobility solutions for organizations with remote service technicians in industries such as HVACR, mechanical contracting, property maintenance & management, oil and gas, and roofing and electrical contracting. The FieldConnect system delivers end-to-end support and management of remote technicians with a robust suite of capabilities that include electronic dispatching, job routing information, electronic work orders, remote access to repair manuals and service codes, and more. XOEye's cloud-based Vision platform and enterprise-grade smart glasses empower those same remote field technicians in industries like HVACR with wearable technology solutions that capture real-time, business-critical data including photos, videos and audio files. With XOEye, remote workers can use wearables like Vuzix M100 Smart Glasses instead of phones, cameras or tablets to streamline their work and eliminate the inefficiencies of handheld devices. As a result of the new platform integration, critical photos and videos captured by XOEye smart glasses are seamlessly stored on the FieldConnect platform, where they can easily be shared with customers, property managers, or saved for compliance monitoring or training purposes. "When HVACR service technicians troubleshoot or make repairs they often need more information than what they get from historical service reports and online manuals," said Peter Godlewski, President of FieldConnect. "Remote techs wearing XOEye's smart glasses get the real-time, eyes-on support when they need it and get hands-free multimedia documentation of the work at the same time. The XOEye integration makes it easy to share that multimedia documentation with the service company's end-customers." "XOEye and FieldConnect have successfully completed developing, testing and piloting our new software and process integration with the help and commitment of Lee Company, a leading provider of HVACR service and facilities management solutions with nearly 1,000 employees," said Aaron Salow, CEO of XOEye Technologies. "The feedback from the Lee Company's field techs and their customers has been phenomenal because it simplifies life for the technicians and it dramatically improves the quality of reporting and communication with customers and property owners. 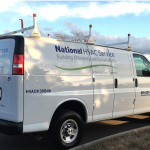 This has been a very natural and logical integration initiative, and one that drives significant efficiencies for industries like HVACR and others."